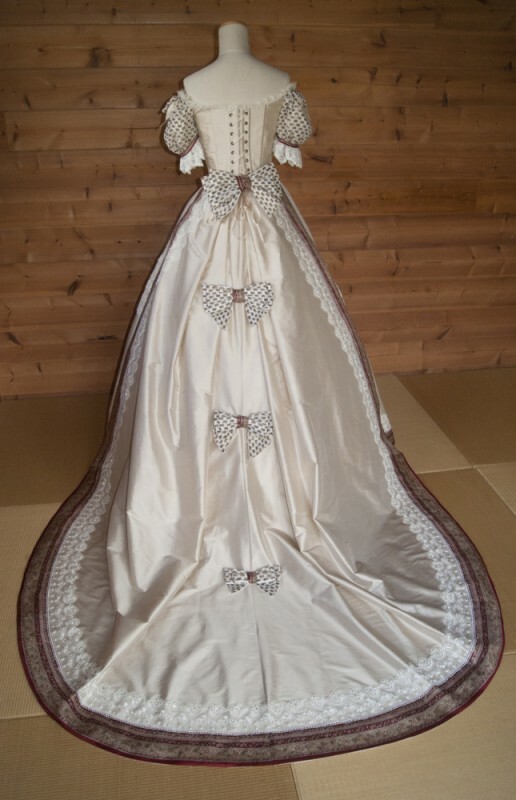 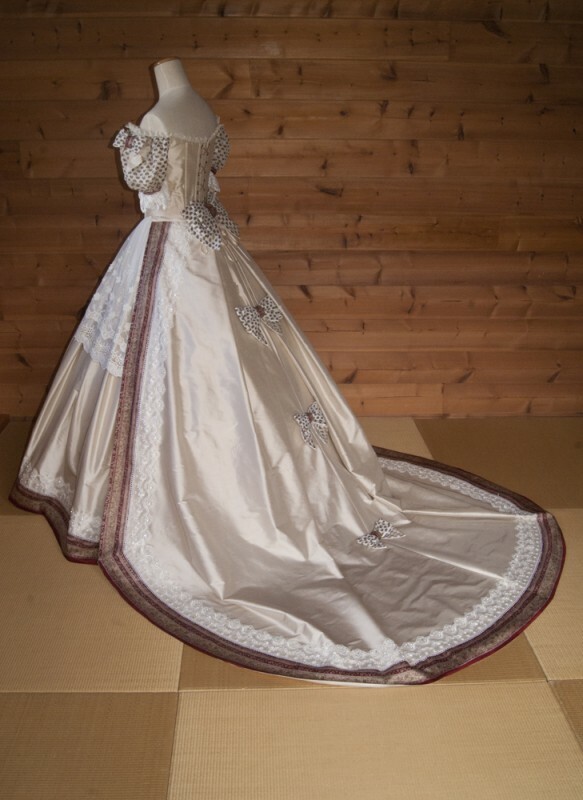 Rym wanted a dress inspired by the coronation of Elizabeth of Austria, in a bordeaux red and champagne version, with a very long detachable train. 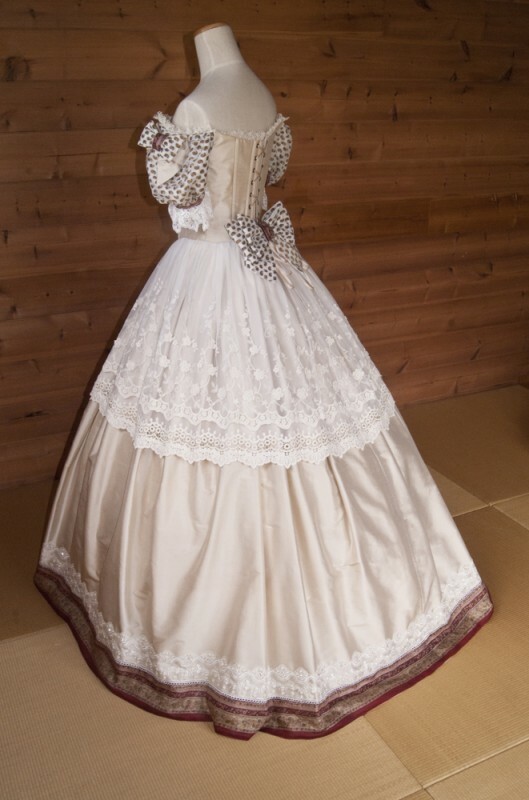 So here is the result, a dress made from a very passionating process, mixing influences and materials for a very original and cosmopolitan result. 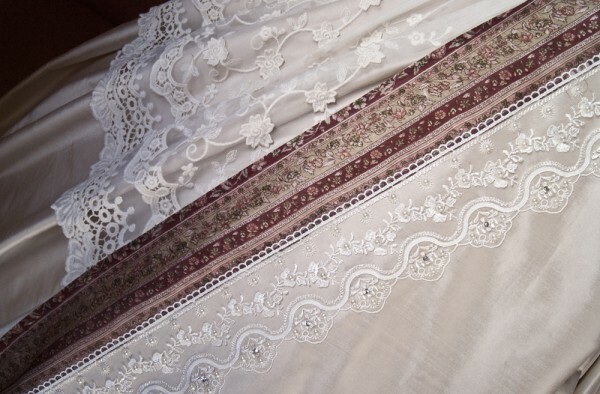 Silk from indian saris, maghreb beaded lace, inspired by an austrian princess, for an algerian princess of the modern times! 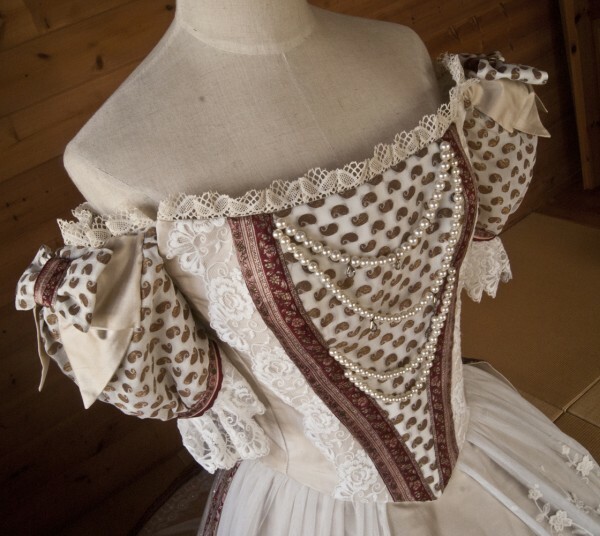 The corset is made of indian silk embroidered with gold threads, vintage bordeaux sari edging and antique lace from le Puy. 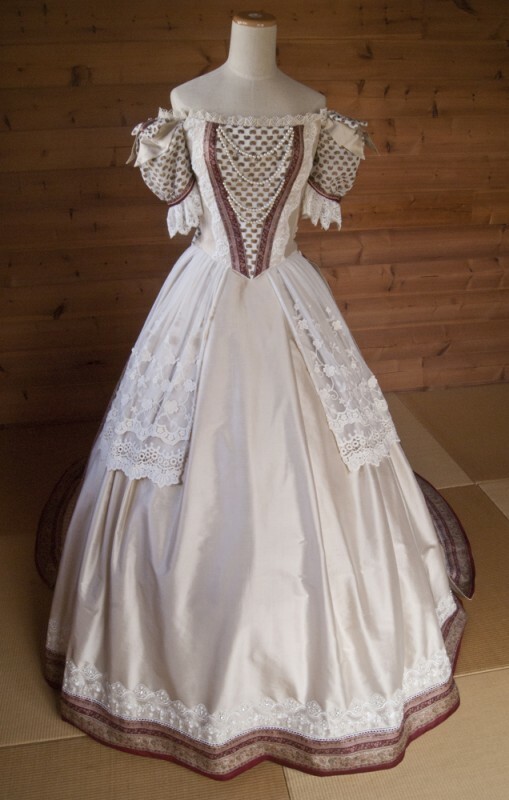 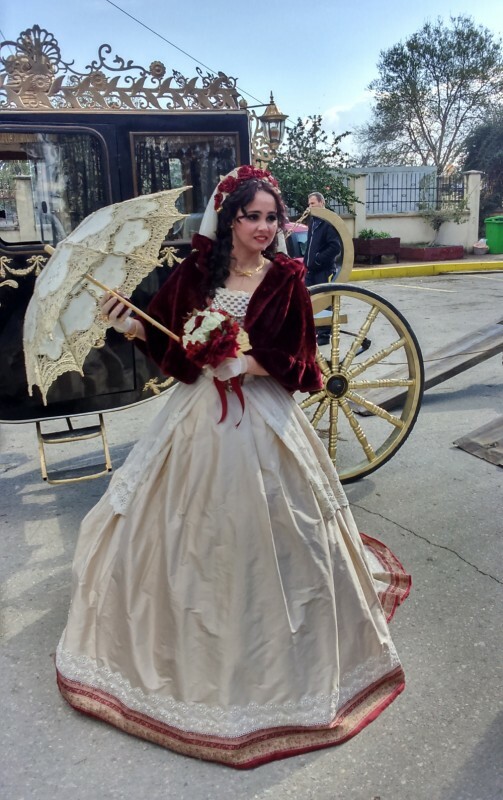 The skirt with a detachable train decorated with bows is highlighted with bordeaux edging and beaded lace from Turky and has an embroidered lace over skirt. 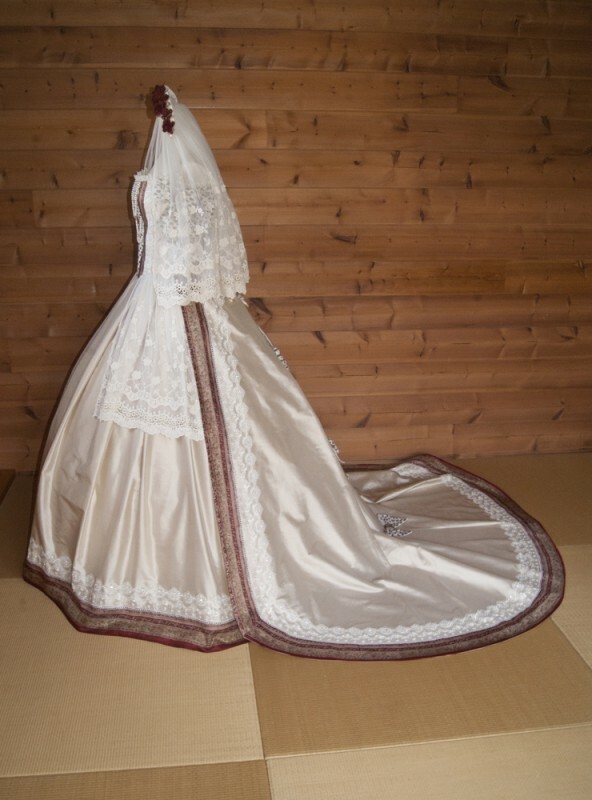 The same lace is also used for the veil and its bordeaux red flower crown.